Nominations for the 61st Grammy Awards for album of the year included Janelle Monáe, Cardi B and Drake. Nominations for the 61st Grammy Awards were announced Friday and one of the nominees was brought to tears live on television. Singer Janelle Monáe -- along with Alessia Cara and Shawn Mendes -- announced some the nominees on "CBS This Morning." Monáe became emotional when her "Dirty Computer" was announced for album of the year. She said she was moved because the project is "about community," especially the LGBT community of which she is a part. 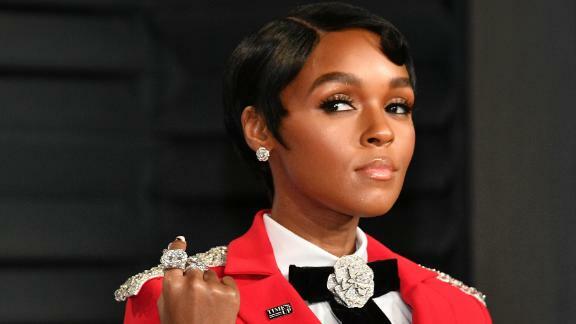 "I hope they feel seen," Monáe said. "I hope they feel loved and I hope they feel celebrated." Rap artists Kendrick Lamar and Drake received the most nominations with eight and seven, respectively. Singer/songwriter Brandi Carlile received six nominations. Fans of H.E.R., the singer/musician who wears sunglasses and guards her privacy to keep the focus on her music, had plenty to celebrate with her multiple nominations. She scored nods for best R&B album, album of the year and best new artist. Female artists dominated top categories this year. Seemingly in an effort to address a historic lack of diversity among its previous nominees, the Grammys expanded the major categories of album of the year, record of the year, song of the year and best new artist from five nominees to eight. There was controversy early on when rapper Cardi B and rapper/singer Post Malone were deemed ineligible for the best new artist category. But the pair did well anyway. Malone's "Beerbongs & Bentleys" is up album of the year, as is Cardi B's "Invasion of Privacy." Her hit "I Like It" is also up for record of the year. Here's a list of some of the Grammy nominees. The complete list of more than 80 categories can be found on Grammys.com. "God's Plan," Aubrey Graham, Daveon Jackson, Brock Korsan, Ron Latour, Matthew Samuels and Noah Shebib. This year the Grammy Awards ceremony is slated for February 10.